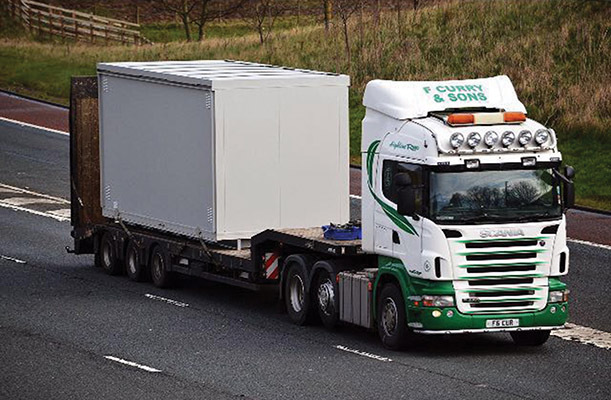 F Curry & Sons is a family owned road haulage company, based in Keady, Co. Armagh. Irish Trucker met up with owner Francie Curry who talked to us about the process the company went through to achieve FORS accreditation last August. The Fleet Operator Recognition Scheme (FORS) is a voluntary accreditation scheme that promotes best practice for commercial vehicle operators. With over 4,350 members, FORS is gaining recognition as the transport industry’s go-to accreditation scheme. It encompasses all aspects of safety, efficiency, and environmental protection by encouraging and training fleet operators to measure, monitor and improve performance. FORS provides accreditation pathways for operators of any type, and for those organisations that award contracts and specify transport requirements. Bronze, Silver and Gold membership provides progressive accreditation enabling operators to achieve exemplary levels of best practice. FORS members stand out from the crowd, work to standards above the legal minimum and have access to a wide range of exclusive benefits that provide a real competitive advantage. This accreditation drives best practice across the European fleet industry in terms of safety, efficiency and environmental protection. 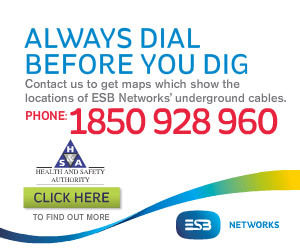 It also offers guidance and training to help operators attain the Standard. Last August F Curry & Sons of Keady, Co Armagh successfully attained Bronze membership and it illustrates the company's commitment to excellence in all aspects of their growing business. “FORS encourages best practice,”said Francie who set up the company back in 2004. “A lot of work went into getting it, we were working on it for a year getting everything in order, and we received our accreditation last August. F Curry & Sons boast a comprehensive fleet with flat trailers, lowloaders, curtainsiders, Euroliners and Bulk Open Top Curtainsiders available for specialised or groupage transportation as well as a ridged and articulated hiab lorry with crane lifting facilities. Francie has been driving lorries since 2000 and 12 years ago decided to branch out into his own haulage business in which has a highly successful niche in the market from Ireland to UK and UK to Ireland. F Curry & Sons' drivers are all trained to a high standard and are all certified for strapping, chaining and covering loads. In addition to a highly flexible range of service the company has developed the specialised ability to handle fragile loads and awkward consignments. As a result their services range from wide-load, over-length and heavy haulage in which the drivers are highly skilled in completing the load. F Curry & Sons will price and take on any load that their customers have to offer and they are currently working for a company for this past 10 years where they have gained a good client relationship and the company is fully satisfied with the service they provide to their customers. As a consequence, Francie reports that business has been brisk of late. Good communication is vital part of F Curry & Sons and their aim is to provide a reliable, efficient and high quality logistics solution to go that extra mile and ensure their customers are provided with a quality, value-added service, from collection to delivery. So do not hesitate to give Francie and his team a call so they can share their service with you.